Are you prepared with a recipe arsenal for last-minute family and unannounced guests showing up this Holiday season ready to eat? Oh and don’t forget Auntie Pattie who is Paleo now, and Jimmy who has a peanut allergy, oh right and your gluten allergy. Its ok, I am here to help. Let me introduce you to a healthy, quick, and easy dip that is usable for an appetizer dip with crackers or veggies, or to pull together a meal by using it as a spread for roasted meats, or even thinned out with some olive oil for a salad dressing. Oh and did I mention its Gluten, Dairy, Grain, and Peanut Free? A bonus aspect to this recipe is that you can exchange the sunflower seeds for any nut or seed you have on hand. I usually make my own crackers but let’s be honest, during the holidays sometimes we need to take short cuts, so here are some links to gluten-free crackers that I have pictured with the dip. Obviously fresh veggies would be optimal but we need to please a crowd so lets not be too pushy on family and friends during Thanksgiving about gluten-free this and vegan that. Just put the food down and make no health announcements (unless you need to) and see what the reaction is. Plus a dip made of carrots that is completely vegan is way better than the usual cream cheese stuffed fried food that is usually around, but they don’t need to know that right? Steam the carrots for 5-7 minutes or until the carrots are easily pierced with a knife. Drain the dates and add all of the ingredients to a blender. Taste for seasoning and transfer to a bowl and serve with crackers, crudite, or use as a dip for meat or veggies. The sunflower seeds can be replaced with cashews, almonds, walnuts, or hazelnuts. Thanksgiving is only a few weeks away so I want to start sharing some of my go to gluten-free crowd pleasers that I make for my family. Today is a make ahead side dish of roasted root vegetables that I roast the day before then I re heat the day of and toss in a garlic, sage, sherry, brown butter sauce right before serving. Toss some toasted nuts and fresh lemon zest on top and you have a gourmet side dish that will make your guests think you are hot stuff….because you are obviously duh! Stick with me kid this holiday is going to be your best ever!!! Line a large roasting/sheet pan with aluminum foil. Toss the chopped vegetables with the oil, salt, and pepper in a large bowl and pour onto the sheet pan. Make sure the vegetables are in a single layer to prevent steaming and promote browning. Roast in the middle rack of the oven for 35-40 minutes tossing the vegetables halfway through cooking until browned with crispy edges. Remove the vegetables and set aside. (At this point you can cool the vegetables and store them in the fridge until the next day. When ready to serve place back onto a sheet pan lined with foil and reheat in a 375F for 20-25 minutes or until warmed and browned). Transfer the warm vegetables to a large bowl. In a small sauce pan heat the butter over medium heat until foaming. Add the sage and garlic into the butter and allow to saute for 1-2 minutes making sure not to burn the garlic. As soon as the garlic starts to take on color remove from the heat and add the sherry vinegar, a big pinch of salt, and the nuts. Stir the butter mixture and pour over the vegetables. Toss the vegetables until well coated in the butter. Zest the lemon over the vegetables right before serving. You can play with the root vegetables and the nuts used in this recipe. Now a days I haven’t been in the gym in a few years due to a couple of back surgeries ( a story for another time) so I have had the luxury of looking at these supplements with an unbiased perspective and the view is not pretty. A petrochemical. A highly processed, petroleum based chemical used to color foods to make them more visually appetizing. It goes by several names including: Allura Red, Food Red 17, C.I. 16035, FD&C Red 40. It is banned and/or being phased out in much of Europe due to concerns over health effects. Acesulfame-K: is a potassium salt containing methylene chloride, a known carcinogen. Reported side effects: Long term exposure to methylene chloride can cause nausea, headaches, mood problems, impairment of the liver and kidneys, problems with eyesight and possibly cancer. Acesulfame-K may contribute to hypoglycemia. Concerns: Of all artificial sweeteners, acesulfame-K has undergone the least scientific scrutiny. Early studies showed a potential link between the sweetener and development of multiple cancers in laboratory animals. When you take a step back and think about the long-term damage you are doing to your body for short-term gains in the gym it seems pretty insane. So whats the solution to still getting huge pumps, increased lifts, and long-lasting energy to tear the gym a new one? So why are beets the key to succesful workouts? Beets are a great source of inorganic nitrates which friendly bacteria in the mouth convert to nitrate, and then through the body is converted to nitric oxide. Ever heard of it? If you are a gym rat you probably are very familiar with nitric oxide as a pre workout supplement that helps increase your lifts because of its positive effect on blood flow, muscle contraction, and neurotransmission. Basically bigger lifts and more energy. 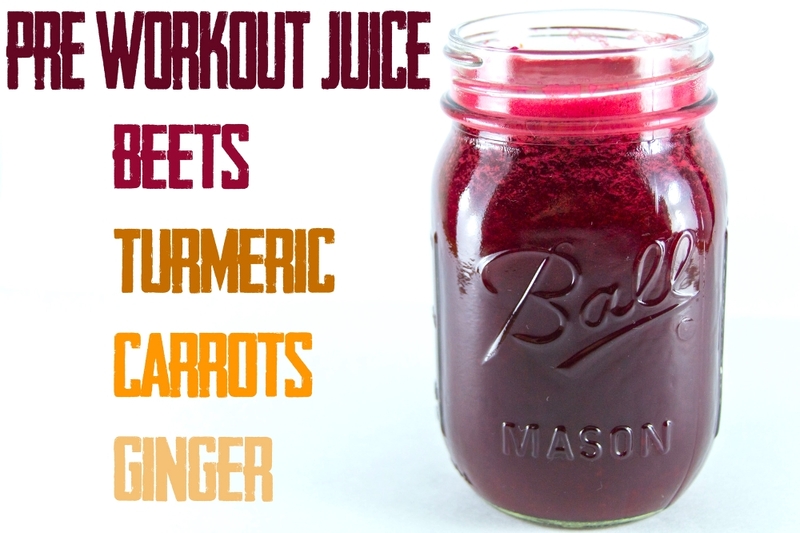 Beet juice has been shown to drop systolic blood pressure by 5-10mmHG depending on the dose. The more the better (1 cup is a good serving suggestion) but you will want to start small (about 1/4 cup) or else you could feel a bit light-headed if you are an athlete and your blood pressure tends to run on the low side. It is best to drink this a few hours (2.5 hours to be exact) before your workout for the peak levels to be reach while exercising but one hour before will still yield positive results. • It is an amazing antioxidant and helps prevent the formation of cancerous tumors. • Beetroot juice detoxifies the liver and aids in healing diseases of the digestive system. • Good source of folic acid and helps in providing protection against birth defects. • Beet juice lowers bad cholesterol level. You can buy a beet root powder but I like to juice mine fresh along with turmeric ( a natural anti-inflammatory which will help decrease muscle soreness), ginger (for added heat to increase blood flow and beat muscles soreness), and carrots for some sweetness and to prevent muscle cramping. This juice is also an amazing pain killer for post workout as well so basically anytime anywhere you can drink this juice and feel amazing! Scoop of favorite protein powder to balance the natural sugars and give your body more to work with for extended workouts. 1 tbl of chia seeds to aid in fluid retention, halting absorptions of sugars, and for a boost of protein. Juice all of the ingredients in a juicer and store in an airtight glass container. One serving is 4-8oz (1/2 -1 cup) but start small. Don't have a juicer? Chop all of the ingredients into very small pieces and add them to some warm water in a high power blender and puree then strain through cheesecloth. Feel Free to add in protein powder for extended workouts and maca powder to increase energy and oxygen levels. Excessive consumption of beet juice may cause your urine to turn pink. This is normal and nothing to be worried about. Excuse my absence this week, I’ve been a bit busy and hot. Sooooo hot. There has been a heat wave all over the country so I know I’m not alone melting away here. When its this hot out I crave light refreshing food that does not require the use of the stove. I used a Tuscan cantaloupe because they have a sweeter flavor and more delicate flesh but whatever melon you have is just fine. Honeydew could actually be a very interesting substitute especially if you add half of an avocado. This soup is raw, vegan, gluten-free and very cleansing. This makes one very large bowl but with a sprinkle of chopped nuts I think it’s the perfect light summer lunch or snack. If you are really hungry perhaps some brown rice or quinoa to soak up the soup would be a perfect addition. This may not be the most appetizing of subjects but I thought it was time for me to dive into the health and wellness portion of avoiding gluten and other allergen foods. One of the biggest complaints from people with food allergies is bloating and digestive health. Here are some of the natural remedies my family and I have come to live by for preventing and helping a stomach “situation” . Bitters – Teaspoon of Angostura bitters or digestive bitters can ease indigestion and acid reflux. Peppermint Oil and Caraway oil - Adding some to water can ease indigestion. Activated charcoal capsules – Take following a meal to help with bloating and gas. Papaya (fresh, or in chewable tablets) – Help in digestion when taken with or after a meal. Digestive Enzymes- Best if taken before a meal. Invest in a high quality enzyme with no fillers! Apple Cider Vinegar – Drink 1 tbl diluted in 8 oz of water to reduce bloating. Best if before a meal but can be taken anytime. High quality vinegar only please. I prefer Braggs. Turmeric – Has fabulous anti-inflammatory properties. Can be taken in pill form, used as a spice in cooking, or stirred into drinks (scroll down for recipe). Pineapple – The enzyme Bromelein helps break down protein (Do you think it is any coincidence that Chinese restaurants serve pineapple at the end of meals?) Bromelein works synergisytcally with turmeric so I buy the tables that contain both. Potassium Rich Foods – Bananas, cantaloupe, mangoes, tomatoes, nuts and asparagus (asparagine amino acid that acts as a diuretic) can all help with fluid retention. Fennel – Try chewing on some seeds or infusing in hot water for a tea to aid in indigestion. Parsley – Is a natural diuretic so try chewing on some or adding it to your meals to aid in digestion. Take a good probiotic – Powdered probiotics are generally destroyed by stomach acids before they ever reach the gut so my GI doctor recommends taking an Enteric coated probiotic as well as eating live cultured yogurt or fermented products. Carbonated Water can cause bloating and gas. Watch your sodium intake. Excessive sodium can cause bloating. Take a walk! Walking after your meals help release any air trapped in your digestive tract. ***Make an appointment with your doctor if you have chronic bloating. I am not a doctor so do not ignore habitual health issues. Now lets Detox the delicious way! Helps with water retention, alkaline balance, and elimination of uric acid. Blend half of the water along with all of the ingredients in a high power blend and then strain the mixture. Press the solids with the back of a spoon or spatula to pull as much juice out as possible. Add in the remaining water, taste for sweetness. Keeps for 3-5 days in the fridge covered, but best if consumed immediately. You can add more water or sweetener to your taste. Blend all the ingredients in a high power blend and then strain the mixture. Keeps for 3-5 days in the fridge but best if consumed immediately. Add as much or as little heat as you like. If you don't have cayenne pepper you can blend a 1/2'' piece of your favorite pepper just make sure you are familiar with the heat of the pepper you are using so you don't blow your head off. I prefer Serrano or Fresno peppers in this blend. If you can find turmeric (use a 2'' knob) in its root form and have a juicer I would recommend juicing both the ginger and turmeric, but powdered turmeric is a perfectly acceptable substitute. Blend 2 cups of water with all of the ingredients in a high power blend and then strain the mixture. Taste for sweetness and dilute with more water if you like. Do not be alarmed if you are peeing a lot after drinking the green monster. This is a very strong diuretic so only have one small glass at a time to gauge your reaction. 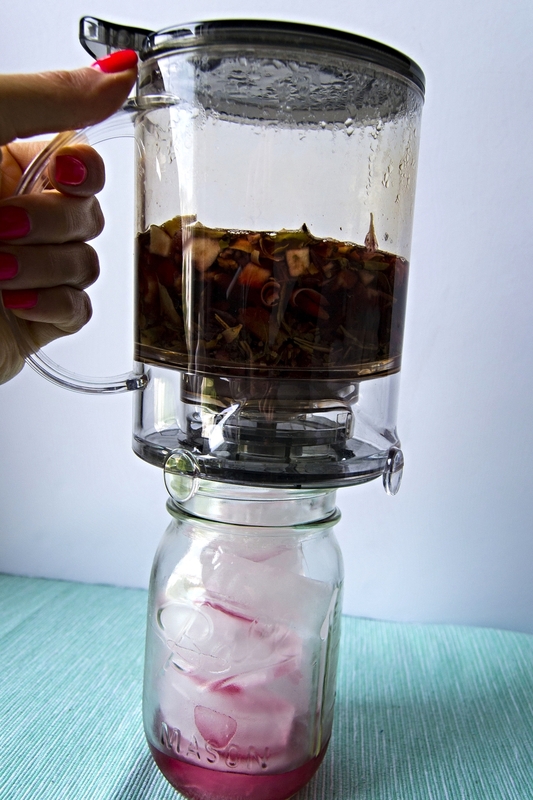 I have a new obsession that I need to share with you….its called the Tea Pop. A tea pop consists of a really strong concentrate of your favorite tea, a big glass of ice, soda water, and your sweetener of choice. Crisp, refreshing, amazing! I didn’t come up with this idea so I have to give credit to the new tea place in the Boston area called Davids Teas. They are like Teavanna except they are more like a tea bar but with the coolness turned up a notch. They have endless flavors combinations that make crazy delicious tea pops, natural sweeteners like pure stevia leaves in their teas, you can buy any of their teas by the ounce (or online) and the prices are not outrageous. For the tea pop it would be best to use a fun flavored loose leaf tea but it can also be done with regular tea bags. For one tea pop use 4X the amount of tea you would normally use for an 8oz cup. So if its loose leaf around 4tsp and if its bags use 4 bags. Steep in just enough water to cover the tea. You want it strong because you will be diluting with soda water. Allow to steep for the allotted time for the specific tea you are using. Fill a glass with ice and pour the tea concentrate over the ice. Top off with soda water and a cool bendy straw. Drink the deliciousness and revel in the tea pop euphoria. Check out my friends new tea line New England Tea Co for some of the rarest Chinese teas and insanely creative flavor combinations. Sometimes with gluten free or grain free recipes there is a palette adjustment or texture adjustment that one has to make mentally before eating a certain remake of a favorite food (ex cupcakes, or muffins). But when it comes to this Salmon, no adjustments are neccesary. 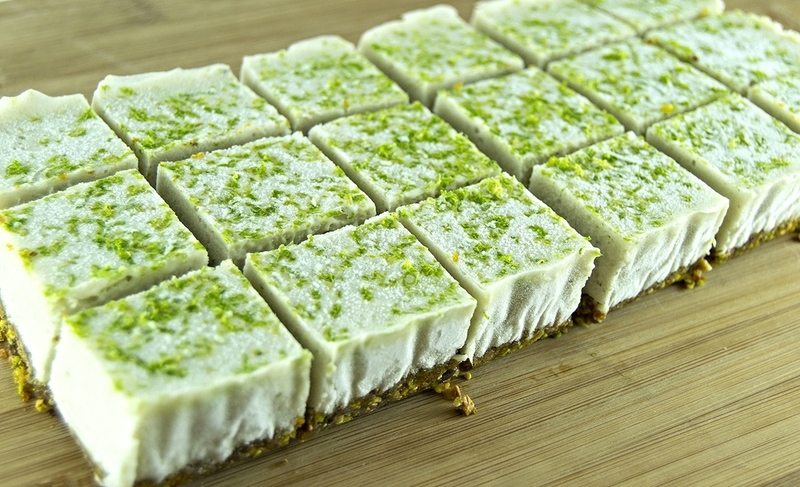 I dare you to make this for any of your foodie friends and I promise the only thing you’ll be explaining is the recipe, not that its “paleo” or “gluten free”. Start out with a beautiful wild caught one side center cut fillet of Salmon with the skin on and pin bones removed. I like center cut because the thickness is more uniform which will help for even cooking. This recipe is for a 1 lb piece so feel free to adjust the recipe for the size of your fish. I like the skin on because it holds in more moisture but make sure that before serving you peel off the skin because it won’t be crispy. Toast the coriander and cumin in a dry small saute pan over medium heat for 2-3 minutes or until the spices become fragrant. Make sure to stir the spices every 30 seconds or so for even toasting. In a mortar & pestle or a spice grinder add the toasted coriander and cumin seeds and process until finely ground. Add the smoked paprika, coconut sugar (or raw sugar), salt, and zest the lemon into the spices. Toss with your fingers. Rinse the salmon off and dry with paper towels removing as much moisture as possible. Lay the salmon down on a sheet pan lined with foil and brushed with olive oil to prevent sticking. Generously cover the salmon in the spice rub pressing it into the flesh until it is completely covered. Allow the salmon to sit out for 45 minutes and “cure”. After 45 minutes of curing with spice mixture. Preheat the broiler and position a rack 3 inches from the broiler. After the 45 minutes place the salmon under the broiler for 6-8 minutes or until the thickest part of the fish reaches an internal temperature of 131 degrees F on an instant-read thermometer. This is how I like my salmon. Medium rare mmmm so good! Combine the smoked paprika, coconut sugar (or raw sugar), salt, zest of the lemon (and additional spices if using) in a bowl. Toss with your fingers. Rinse the salmon off and dry with paper towels removing as much moisture as possible. Lay the salmon down on a sheet pan lined with foil and brushed with olive oil to prevent sticking. Allow the salmon to sit out for 30-45 minutes and "cure". You know its ready when the spices have absorbed into the salmon and it has a sheen to it. After the curing, place the salmon under the broiler for 6-8 minutes or until the thickest part of the fish reaches an internal temperature of 131 degrees F on an instant-read thermometer. For whole spices: Toast the coriander and cumin in a dry small saute pan over medium heat for 2-3 minutes or until the spices become fragrant. Make sure to stir the spices every 30 seconds or so for even toasting. In a mortar & pestle or a spice grinder add the toasted coriander and cumin seeds and process until finely ground. Add to spice/lemon zest/sugar mixture and proceed with recipe. I have an addiction to all things crunchy…nuts, fries, chips. I could survive solely on snack food if I didn’t have a nutritional conscious, but sadly, that is not the case. I know I shouldn’t be eating pre packaged fried foods with refined oils, cheap ingredients, and un identifiable additives…so I had to figure out a way to get my crunchy snack food fix the healthy way. Enter the baked apple chip. Simple, pure, crunchy, apple goodness. Oh and did I mention they are stupid easy to make? I’ll walk you through it. Start by placing the bottom of an apple directly on top of the blade portion of a mandolin and slice as thin as possible ( you can use a knife if you don’t have a mandolin). Toss to coat the apples. 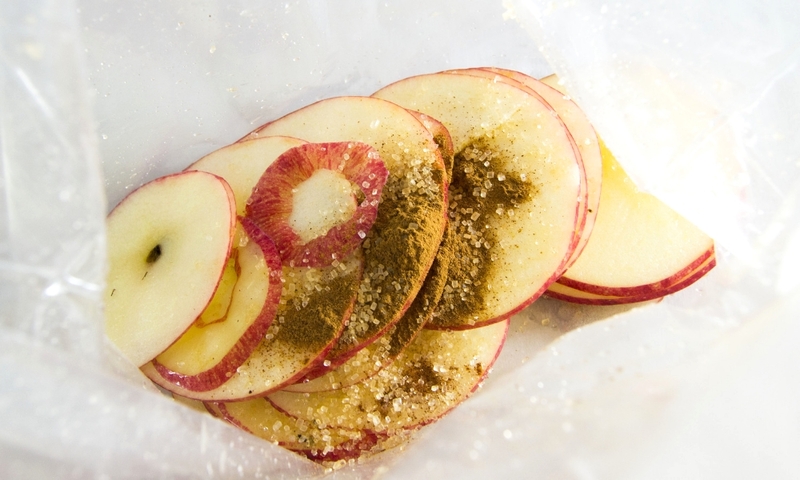 Line a baking sheet with parchment paper and lay the apple slices in one layer. Bake at 225F for one hour. Flip. Then bake for an additional hour. Turn off the oven and leave the chips to cool with the oven door shut. They will crisp up as they cool so leave them alone until they snap when you gently push on one. Store in an airtight container if you don’t slam the whole tray cookie monster style like I did…whoops. 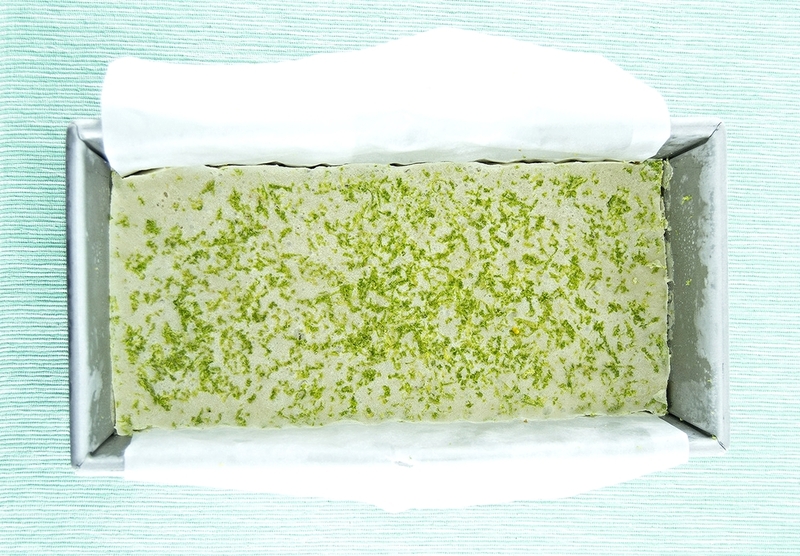 Preheat the oven to 225F and line two sheet trays with parchment paper. Slice the apples horizontally across the core on a mandolin (or with knife) as thin as you can. Toss the apples in the lemon juice to prevent browning. 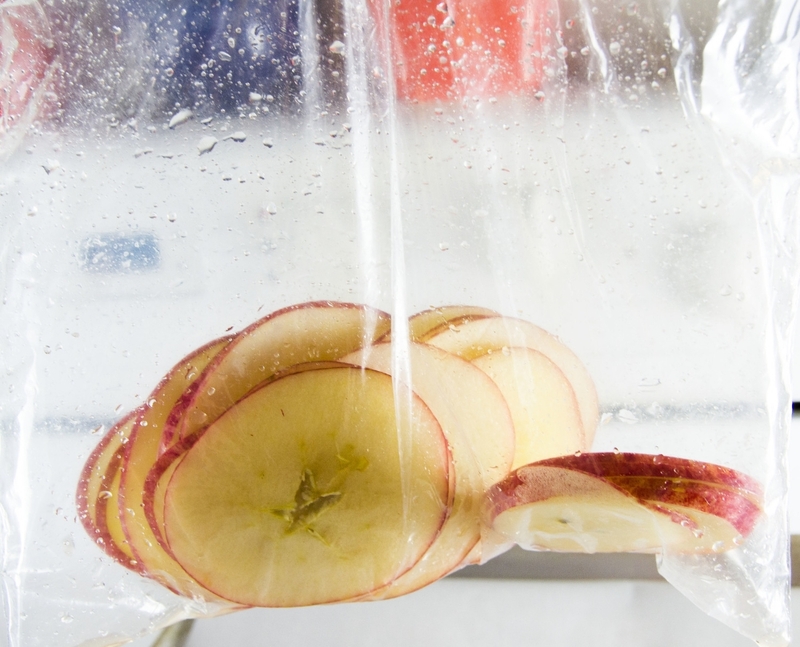 Toss the apples, cinnamon, and sugar in a ziploc bag until well coated or you can also sprinkle by hand. Lay the apples in a single layer on the lined sheet pans. Bake for an additional hour. Turn the oven off and allow the chips to cool with the oven door shut or until they are very crisp and snap when pushed on lightly with your finger. If these are left long enough to cool they will stay crispy stored in an airtight bag or container for a few days. This same process can be used with bosc pears. Low Carb, Paleo, Grain Free Tortillas!!! To all the paleo eaters, cross fitters, low carb lovers, and gluten and grain free guys and dolls out there I have an announcement to make….I have a new tortilla recipe for you and you aren’t going to believe what the main ingredient is…. What a versatile and tricky little veggie that cauliflower is. Now I have to say that this is sort of a “fake out” recipe because they look like corn tortillas, but have a different texture and have a more nutty, sweet taste. Except these don’t have any sugar, preservatives, or other weird ingredients manufactures think are necessary to make natural food taste more like “food”. You know very well that you can make something twice as good, and 150% more nutritious so come on already and let’s make some tortillas!!! 3 cups of steamed cauliflower, 2 eggs, 2 tbl Arrowroot Flour, 2 1/2 tsp Coconut Flour, and 1/4 tsp salt. Oh and preheat your oven to 375F and process the cauliflower into rice in your food processor. It should look like this and if you can’t get it any finer its ok, you will be blending it again. Place the cauliflower in some cheesecloth and drain all the water out. Now put the drained cauliflower back into the food processor along with all of the other ingredients and mix until finely processed into a thick paste. Allow to sit for ten minutes for all of the coconut flour to absorb the liquid and swell. Line a sheet pan with parchment paper and drop 2 heaping tablespoons of batter onto the pan with plenty of room to spread into 4’‘ rounds. 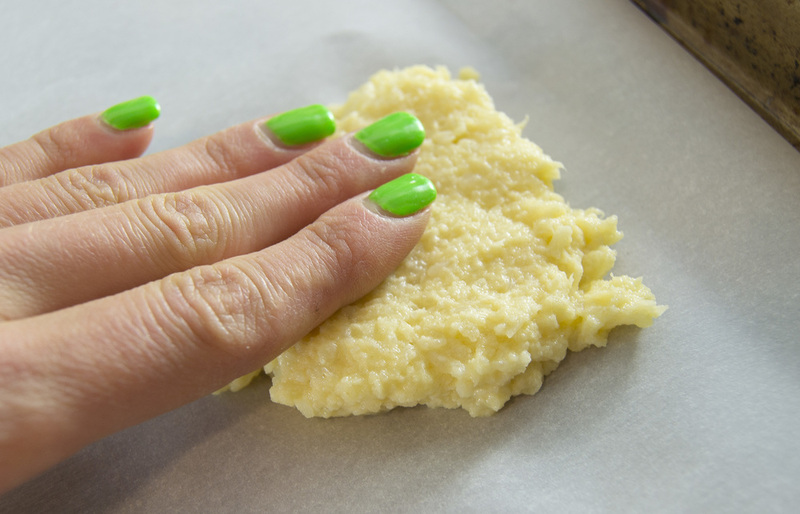 Press with your fingertips and make them as thin as possible wetting your fingertips if they begin to stick to the batter. 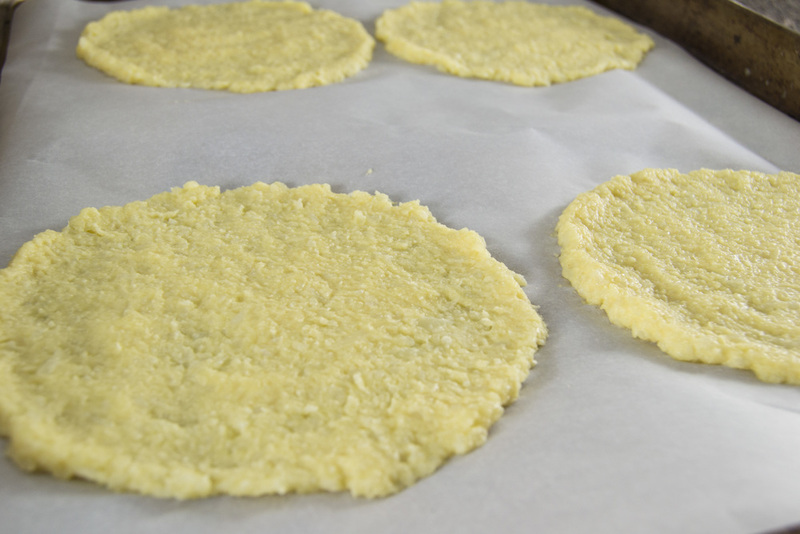 Use the side of your palms to form the tortillas into a circle as best as you can. Now at this point you can place a piece of wax paper in between each tortilla and wrap them in plastic or in an airtight container in the fridge or freezer or until ready to use. When you are ready to eat them, griddle them off in a dry skillet or on an electric skillet pressing on each side with the back of a spatula, or until they are equally browned and crispy. Don’t worry they won’t stick. Fill with your favorite meat, veggie, or anything your creative heart and stomach can think of! Preheat the oven to 375F and line 2 sheet pans with parchment paper. "Rice" the cauliflower by placing it in to a food processor and pulse until finely pulverized into small rice like pieces. Then place the riced cauliflower into a bowl, cover with a dish towel, and microwave for 2 minutes. Stir the cauliflower, cover and microwave an additional 2 minutes. 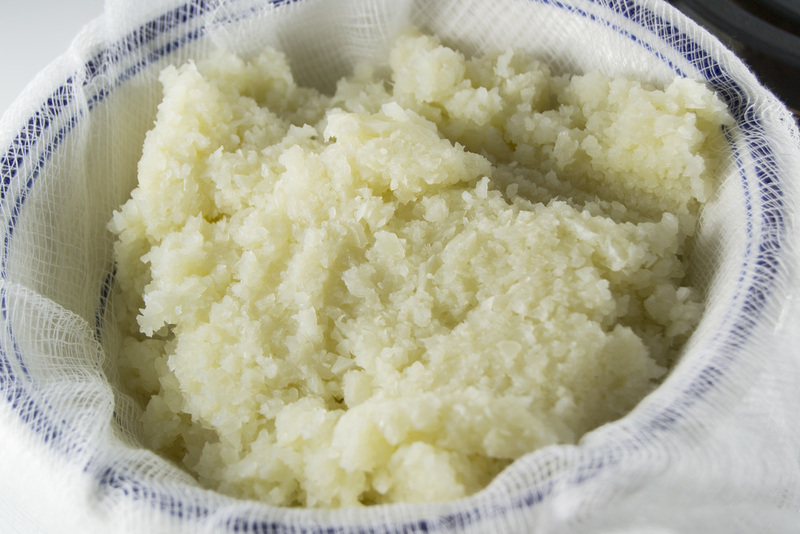 Place the steamed cauliflower into a dish towel or a few layers of cheesecloth and squeeze out all of the water so it is very dry. 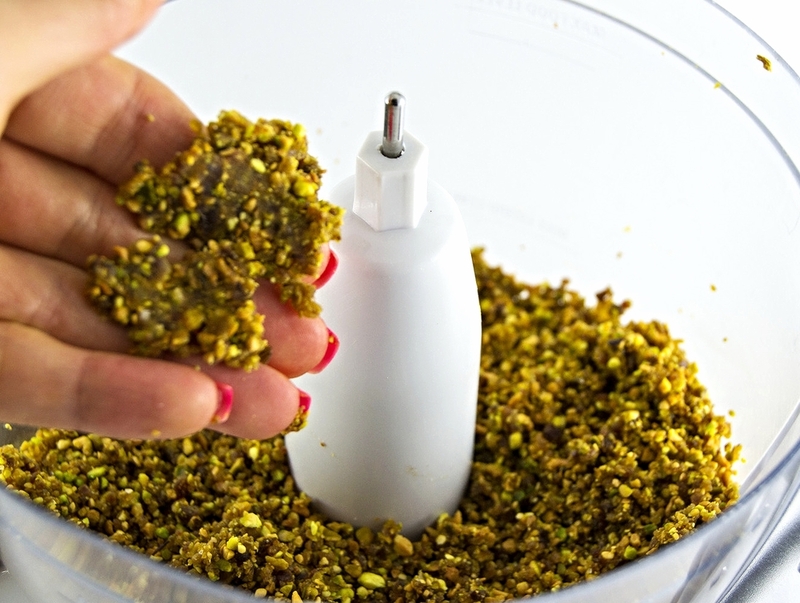 Place the drained cauliflower back into the bowl of a food processor along with the remaining ingredients. Process the mixture until it is almost smooth and becomes thick and pasty. Allow to sit for ten minutes for the coconut flour to absorb as much liquid as it can. Drop two heaping tablespoons of the batter per tortilla and spread out with your fingers as thin as possible. Use the sides of your hands to make it into a circle as best as you can. Bake for 12-13 minutes or until the edges of the tortillas are just golden and they do not stick to the parchment paper when you try to flip them. Flip each tortilla and bake for an additional 12-13 minutes or until golden brown all over. *If you are not eating them now you can bag them at this point and place a piece of wax paper in between each tortilla and refrigerate in a plastic bag or container until ready to eat. Heat a dry skillet over medium high heat and griddle each tortilla by pressing them with the back of a spatula until they are golden brown and crispy on each side. These can be made ahead of time up until the step that they come out of the oven. They can be crisped up to order right before serving or else they will be soggy if eaten right out of the fridge. These can also be frozen and thawed out on a counter and then browned off in a skillet before eating. I find during the warmer months I am drawn to lighter fare with fresh ingredients, big punches of flavor and acidity. With the addition of an egg this can totally function as a light dinner. The components can also be served chopped up and tossed into mesculin greens using the salsa verde as a salad dressing. If you aren’t into eggs might I suggest you replace the egg with some soft goat cheese and feel free to sub the sunflower seeds with your favorite nut or seed (Marcona almonds, or pistachios would work beautifully). Split the eggplants in half lengthwise and liberally cover them in olive oil. In a small bowl combine the Sumac, Smoked Paprika, and two big pinches of fine sea salt. Liberally sprinkle the eggplant with the spice mixture reserving a small pinch for the eggs. In the work bowl of a food processor add 1/3 cup olive oil, diced and seeded Serrano pepper, lemon zest, lemon juice, 1/2 tsp salt, basil and parsley. Pulse for about 1 minute until the herbs are broken down. Add the nutritional yeast and pulse to incorporate. If the mixture is too thick stream in more olive oil until the desired consistency is reached. Place the eggs in a small sauce pan and cover with water to just cover the eggs. Heat over medium high heat, uncovered, until the water just comes to a boil. Turn off the heat, leaving the pot in place, and set a timer for 8 minutes. When the timer goes off wait 30 seconds and then drain and cover the eggs in ice water. Allow the eggs to rest for 5-10 minutes. With the back of a spoon gently tap all around the surface of the egg to create as many little cracks as possible. Roll the egg around in your hands over the sink. WIth the faucet running gently peel the eggs under the running water. Split the eggs in half and dust with the remaining sumac, salt, smoked paprika spice mixture. Place 5 eggplant halves in a plate along with two halves of an egg. Generously spoon the salsa verde over the eggs and eggplant. Sprinkle 1 tablespoon of roasted sunflower seeds over each plate. Preheat oven to 300°F. Place baking sheet in oven. Combine beets, carrots and onion in large bowl. Mix in egg, salt and pepper. Sprinkle over the flour; stir to blend well. Heat 1 1/2 tablespoons oil in heavy large skillet over medium heat. Using 1/4 cup beet mixture for each pancake, drop 4 pancakes into skillet. Flatten each into 3-inch round. Cook until brown and cooked through, about 4 minutes per side. Transfer pancakes to baking sheet in oven; keep warm. Repeat with remaining beet mixture make sure to wipe out the pan and start with fresh oil before each new batch. Keep warm in oven until ready to serve. In a medium bowl add all of the ingredients and whisk to combine. Taste for seasoning and top each pancake with a spoonful. This can be made up to a week in advance and stored in an airtight container in the fridge.